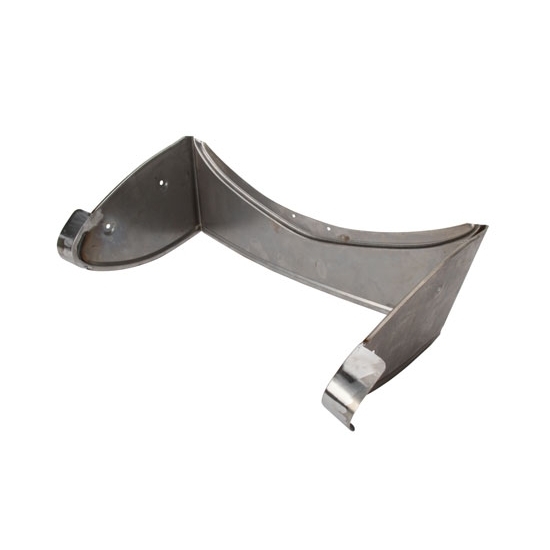 Steel 1930-31 Ford Model A splash apron for radiators. Chopped 3". Measures 3" tall at the center from the bottom to the indention lip for the grille shell. If you add the lip behind the grille shell, it is 4-1/8" from the bottom to the top of the lip. Note: This piece will require sanding and finish work before being ready for paint. Our fiberglass is pulled straight from a mold and in many cases you will still see the casting marks.